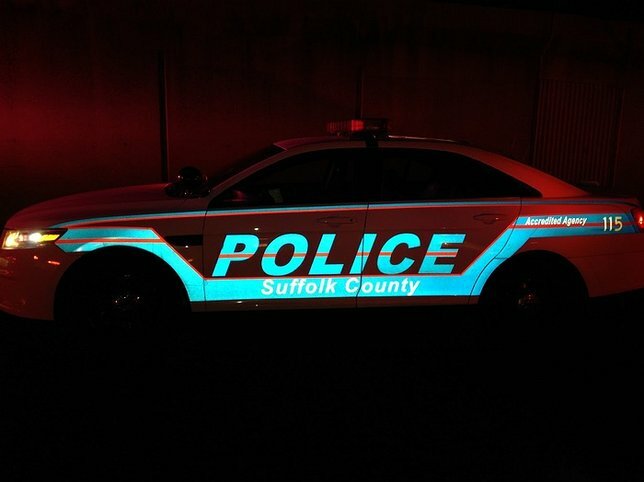 Suffolk County Police Homicide Squad detectives are investigating the death of a man who was killed in Brentwood last night. The investigation is continuing. Detectives are asking anyone with information to call the Homicide Squad at 631-852-6392 or call anonymously to Crime Stoppers at 1-800-220-TIPS. Brentwood, NY - October 14, 2016 - Suffolk County Police Homicide Squad detectives are investigating the death of a man who was killed in Brentwood last night. Third Precinct police officers responded to a 911 call reporting a man lying in the road in front of 231 American Blvd. on October 13 at 11:58 p.m. The victim, an adult male, suffered head injuries and was pronounced dead at the scene by a physician assistant from the Office of the Suffolk County Medical Examiner. His name is being withheld pending positive identification. The cause of death will be determined by the Office of the Suffolk County Medical Examiner. Subject: LongIsland.com - Your Name sent you Article details of "Man Found Lying in the Road in Brentwood, Dead"